Operation of most hand held portable breathalyzers for sale is fairly straight forward. We are going to use the AlcoMate Prestige AL6000 Breathalyzer for sale, to demonstrate proper alcohol testing procedures. Most digital breathalyzers will come with instructions on how to properly test someone. There are several key things to consider before testing someone, to ensure the most accurate results. 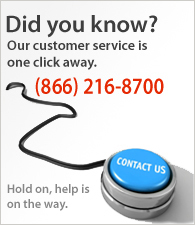 You can always ask our experts if you have any questions about proper test procedures for your alcohol tester. 1. Wait at least 20 minutes after eating or drinking before testing. Alcohol remaining in the mouth, or even excess saliva, may interfere with testing. This includes alcohol-based mouthwash or similar products. 2. Avoid testing in high wind or enclosed spaces. Poor ventilation may also lengthen the time required for warm up between tests. 3. Do not blow smoke, saliva or other contaminants into the mouthpiece, as the sensor may become damaged. 4. Do NOT use any breathalyzer as a tool to drink and drive. 5. Keep out of extreme temperatures and out of the reach of children. 1. Attach a mouthpiece to the breathalyzer. 2. Press and release the power button. 3. Wait for the unit to warm up to optimal test conditions until the display shows "blow". 5. Wait a few moments for the deice to analyze your breath sample. 6. The test result will be displayed for approximately 15 seconds. 7. If you want to perform another test, wait for the back light to turn off, then tap the power button. 8. The breathalyzer will automatically shut off within two minutes if not in use. 1. If you see "Flow" or "flo" in the display, the breath sample was either not strong enough, or more likely, not long enough. You must provide a strong and steady breath sample and must not stop blowing until you hear the long beep indicator stop. 2. If you see "bat" in the display, the battery power is low. Please replace the batteries. 1. If you feel like your device is giving rather high results, it is possible that your breathalyzer sensor has been over saturated from a previous test. Attempting a dry run of the breathalyzer could burn off any alcohol residue during the warm up stage. Turn on the device, let the count down begin, and allow the device to time out. You should not be blowing into the alcohol tester. Repeat this several times, and then perform a test. 2. One can not test if their breathalyzer is read accurately by guessing what their blood alcohol concentration should be at. Only with proper lab equipment can you simulate an exact alcohol level. For all digital breathalyzers, calibration of the alcohol tester is required every 6 months ~ 1 year. Newer devices like the AlcoMate Prestige and AlcoMate Premium allow for sensor replacement. This eliminates the delays caused by sending in your breathalyzer for a professional calibration service.